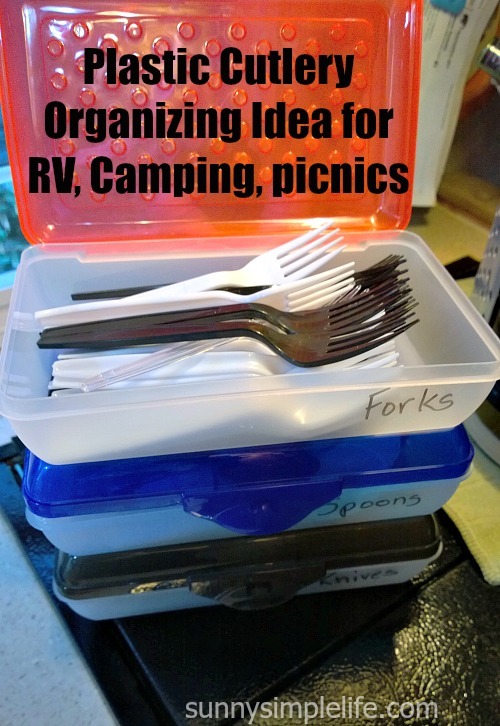 I have a super easy and cheap plastic silverware organizing idea for RV, camping, picnic or just for an easy home storage idea. Right now all the school supplies are out and these little plastic pencil cases make great holders for plastic forks, knives and spoons for camping, outdoors, BBQ or just to keep them organized in your home. I bought my plastic silverware holder, aka school supply boxes, at Walmart for .97 a piece. 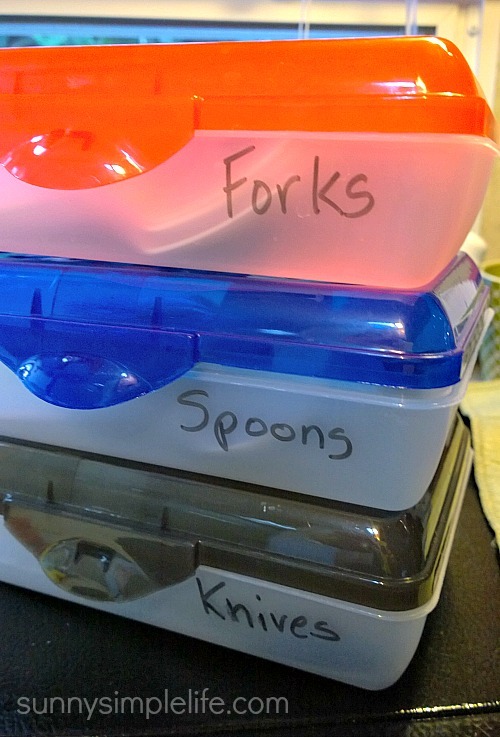 Used a sharpie and mark forks, knives and spoons. **Update: Also to save money, save and wash those plastic utensils you get when eating out or from getting frozen yogurt or ice cream. Read all our camping and RV tips here. I bought those containers every year to use in my classroom, but I never used that size at home. I'm thinking I need to get some of that size for my craft space.